Irish Golf Tour expert Carr Golf will be staging a Pro-Am in October, the trip lasting from Sunday 19th to Friday 24th of that month. PGA Pros and Amateurs alike will be given the chance to play some of the best links courses in the world over the 6 days, along with 3 of the Top 13 golf courses in the world according to Golf Digest. 5 rounds of Championship golf: Royal Dublin (Optional). 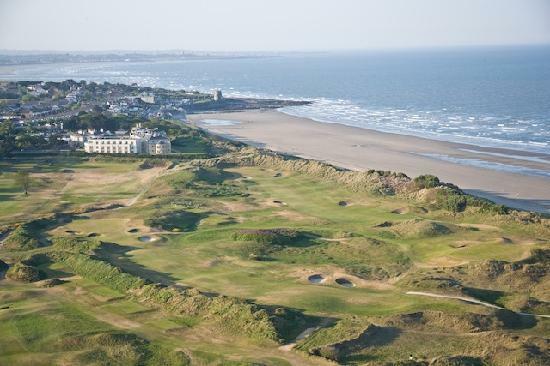 Portmarnock Golf Club, Royal Portrush, Royal County Down (x2). Check out the Golf Channel Feature on the Carr Golf Pro-Am! For any enquiries please call +353-1-822-6662 from Ireland or 1800-882-2656 (Toll Free) from the United States, you can also email sinead@carrgolf.com.